In a powerful article at the Atlantic, “Why I Hope to Die at 75,” Dr. Ezekiel Emanuel lined up facts and figures showing that much of the recent gain in human lifespan is about stretching out the process of decline and death rather than living well for longer. Most of us would love to live to 100 and beyond with our minds sharp and our senses clear, able to take pleasure in the world around us while contributing at least modestly to the happiness and wellbeing of others. But clear-eyed analysis shows that is not how most elderly Americans experience their final years. Emanuel’s article got replicated across the internet, prompting conversations about aging, death, and quality of life, including among my friends and family members. As someone who takes great pleasure in thought and service, one fact that came up in the conversations particularly troubled me: a third of Americans die with some kind of dementia. Alzheimer’s alone is now considered the sixth leading cause of death in the U.S., and the endgame isn’t pretty. Whole industries have sprung up to care for those who can no longer remember where they are or recognize family members or even feed themselves. Cadres of caretakers tend their bodies, waiting for brain activity to decline past the point that it supports even basic functions like swallowing or bowel control. Many people would choose not to live and die this way, but by the time the diagnosis is clear, it is too late for them to express their preferences. The painful paradox is that when your mind stops working, it can’t be trusted to say that you wouldn’t want to live with your mind not working. So, I thought I’d say it now. This is not my usual fare for AwayPoint; for those who come here to read about religion or women’s rights or family planning, there will be more next week. Recent research on Alzheimer’s dementia, and a conversation with my husband Brian Arbogast on the topic, has prompted me to lay out my desires in the event that Alzheimer’s or another form of dementia affects my mind in the future to the point that I am not able to communicate my preferences clearly. Since early adulthood, it has been my strong and stated preference that I not be kept alive in the event that cognitive function declines to the point that I am no longer able to make active decisions about my wellbeing and medical treatment. This preference dates back to the time that my grandmother was in a nursing facility during her final years, and I was able to observe the degraded quality of life of previously high-functioning Alzheimer’s patients. For years I expressed this preference, half-jokingly, by saying: “When my mind starts going, I want you to offer me the black pill every day, and when it gets to the point that I can’t remember what it is and I actually accept it, that means it’s my time.” The comment was a joke only because such technology did not exist and to offer it would not have been legal. But it reflected my actual and serious desire to put in place some mechanism such that, when I was no longer actively able to make decisions about my quality of life, the default would be to let it go. I hereby request that if, as a consequence of irreversible dementia or brain damage, I should reach the point that I no longer seek and independently consume food and/or hydration, my failure to do so should be considered a voluntary cessation of eating and/or drinking. In this case, no nutrients or hydration should be offered to me or left in reach, or put into my body, and any such offer or feeding should be considered against my will. In reality, seeking food and water are primitive behaviors that might persist long past the point that I would prefer that my body cease living. In the event that active euthanasia becomes legal and available, I would request to be euthanized if, for a period of two months or more, I am no longer able to recognize my daughters and husband in person or in photographs more days than not, or if because of dementia, I am bedridden or require 24-hour nursing care. In the event that I am placed for medical treatment in a facility that is guided by Catholic religious dictates or other policies in contradiction to these preferences, I further request that any next of kin or legal proxy be permitted to discharge me from this facility and to place me in either another facility or in palliative care at home, and that they shall in no way be held legally liable should such action or subsequent treatment or lack thereof accelerate my demise. It should be noted that this request is based not only in preferences but in my deepest moral and spiritual values. I cherish life as an extraordinary gift, not just my own existence but the vast and intricate web of life that gave me birth and has sustained me these many years; and I am ever mindful that keeping me alive requires resources that might otherwise sustain different lives. It is my sacred responsibility to steward these resources wisely and well and to mind the fact that they might nourish others. When those qualities that make my own life precious to me have faded away, I serve my deepest values, to which I have devoted my best years, by releasing whatever remains of my individual existence, along with any resources to which I might lay claim, back into the ebb and flow of matter and time. Gallery | This entry was posted in Uncategorized and tagged alzheimer's, death with dignity, end of life. Bookmark the permalink. 12 Responses to Dementia Care? No Thanks! While my grandmother and her mother lived to be 94 and at least one sister lived to be 99, as well as a great uncle, with little dementia (they did have some by that time) there is stroke, which does a serious number on the brain, not just memory, just by watching my aunt, my mother’s sister, I fear stroke more. Stroke is the #1 cause of death, if I remember correctly. That said, I understand where you are coming from concerning dementia though. As I watch my aunt slowly dying from a living brain death via strokes, as she slowly dies in a nursing home, I too am working on my power of attorney/orders of directive/whatever it’s called. My biggest fear is living in a world where I cannot communicate and/or believe that dead relatives are visiting me (as in my aunt’s case). I don’t want to live like my aunt is living nor do I want to be unable to communicate, whether if it’s with sign language, writing, orally, etc. If I cannot communicate and reasonably think for myself, making my own choices concerning what I ingest and alike, then I don’t see the point either. I may live longer, but to me being unable to communicate and/or say my dead parents are visiting me while I live in my own world isn’t worth it. I rather have longevity like my grandmother et al, where dementia doesn’t set in until around age 90, dying in my sleep a few years later and not be in my 70s living my stroke brain damaged aunt, who is in a wheelchair, seeing her late parents visit her, and may or may not recognize me the next time I see her. 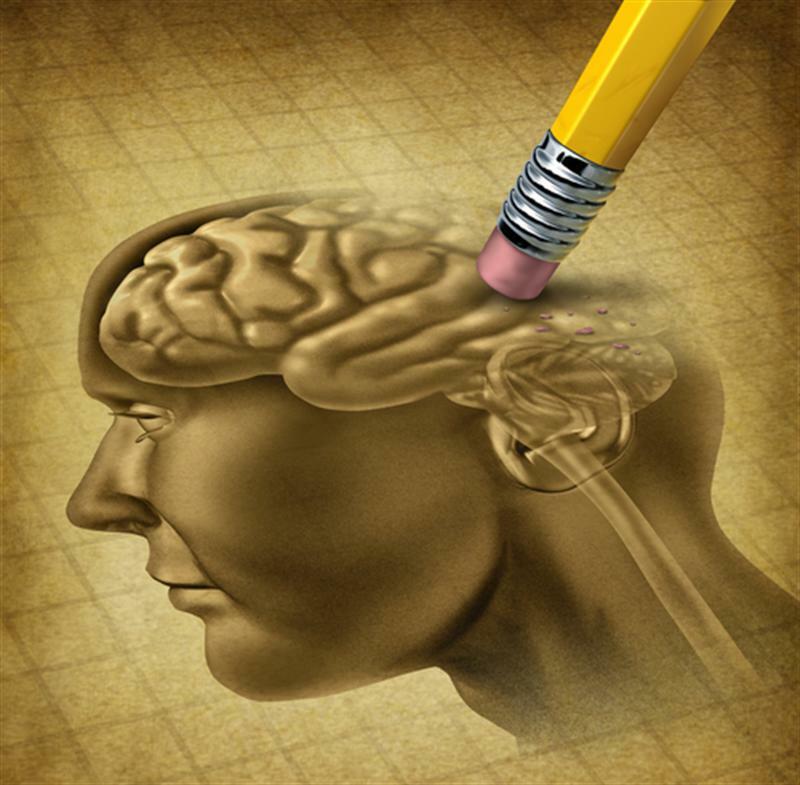 Brain trauma of any sort in old age, whether it be via stroke or Alzheimer’s, is frightening to most everyone and not something anyone wants. Strokes and Alzheimer’s are insidious and formidable illnesses of the brain that can kill as they occur or give one a slow lengthy death. I’d rather live like your grandmother, too. It must be very hard to see your aunt in that condition. It is very hard and my mother and I (ironically) agree that if she has another stroke, and we suspect she will, her step son who’s in control of her medical care should tell the staff to let her go and not try to keep her alive. It is just that bad now that my mother and I can agree that it’s long since time to stop life saving protocol. My mother also agrees that it is totally bizarre for my aunt to think my grandparents are visiting her when they are dead (in heaven in my mother’s opinion), which is also ironic. She doesn’t remember that they died, she doesn’t always know that I’m grown, there is a lot missing by way of cognition and memory, all due to stroke(s). IMO, stroke and Alzheimer’s tie for heinous, insidious, and formidable. Both do serious damage to brains. Thank you, this is succinct and highly appropriate. I would love to share ths with family and friends, for their consideration- may I have your permission (attributing it to you) or do you have a “facebook version” I could share? Feel free to share as you like, with or without attribution. Thanks! Fantastic Valerie! This very subject has been on mind a lot recently. I intend to use that as a template for my own directive since I would not have to modify it much. I will be donating all my organs for transplant or research and am inquiring how to donate what’s left to UBC, my alma mater. I’m not sure if the poll question differentiated between terminal illness and dementia, but I consider a diagnosis of Alzeimer’s a terminal illness. Thank you for sharing all of these links. I’ll plan to dig through them this weekend. Much appreciated! Thank you. What a horrible description of dementia care–or better said, dementia itself.